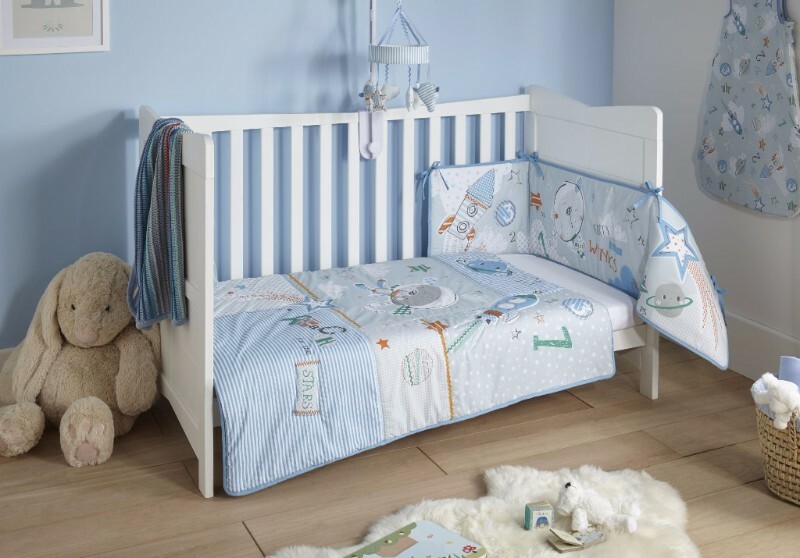 You and baby will be able to catch Forty Winks with this brand spanking new bedding set! In hues of blue, turquoise and with accents of orange and featuring space Ted with his rocket ship on a fun adventure through space. Finished with contemporary contrasting prints, detailed topstitching and embroidery. The Forty Winks range will include everything from Moses baskets & Noah Pods®, crib & cot bedding to a sleeping bag, musical mobile, hooded towels and much, much more! Look out for this fun collection flying onto the shelves in November!